On September 28, 2018 the WooFDriver took the WooFPAK to the Sussex Branch Trail in New Jersey for a FurWheeling adventure! The Sussex Branch Trail is 18 miles of dirt and grass. This pathway got its start in the late 1840s as the mule-drawn Sussex Mine Railroad, that hauled iron ore from the mines. The trail has many attractions along the way, from the town of Andover with its specialty shops and restaurants to Kittatinny Valley State Park with its tall trees of maple, hickory and tulip poplar. Bird watchers flock to this park to try and catch a glimpse of some of the 200 bird species in the area. 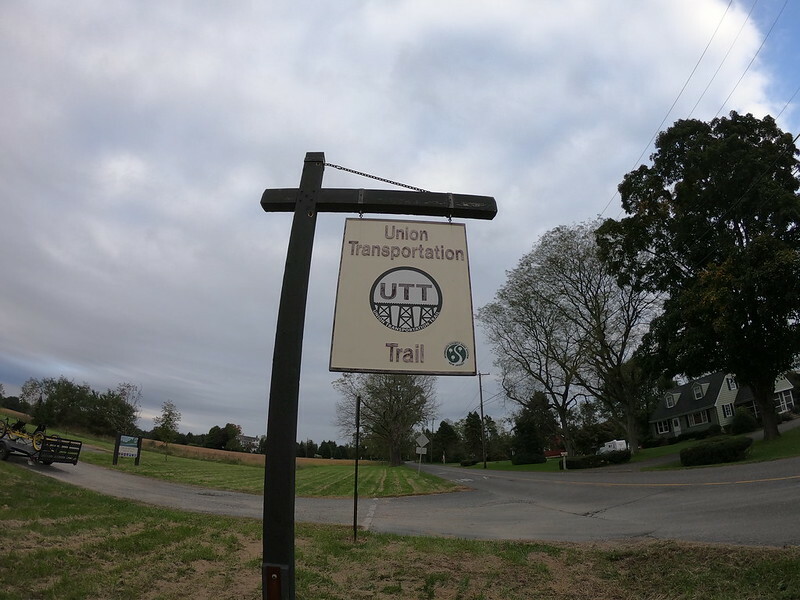 On October 5, 2018 the WooFDriver headed to the Union Transportation Trail in New Jersey for a FurWheeling adventure. This rails to trail is 9.3 miles of crushed stone over the railroad bed of the former Pemberton & Hightstown Railroad. This portion of railway started operations in 1864 to transport dairy and produce to larger railroads at junctions in Pemberton and Hightstown. In 1998 local parks department obtained the permanent easement to make the trail that is enjoyed by many today. Enjoy the photo album from the adventure! On October 2, 2018 the WooFDriver and his crew took the WooFPAK to the Trap Pond State Park in Delaware for a FurWheeling adventure! In 1951 Trap Pond State Park became on of Delaware’s first state parks. This 23 acre parkland was once a large freshwater marsh and it still known for being the country’s northernmost natural baldcypress tree forest. The man-made pond was created to power the sawmill used to harvest these beautiful trees in the late 1700s. Enjoy this photo album from the adventure! On September 7, 2018 the WooFDriver took the WooFPAK and crew to the Northbend Rail Trail in West Virginia for a FurWheeling adventure! This rail trail in its duration will take you through 10 tunnels and over 36 bridges. The two highlighted tunnels are the 2,297 foot long tunnel and the Silver Run Tunnel that is supposedly haunted!! The railroad was built before the Civil War by the Northwestern Virginia Railroad, later to be sold to the Baltimore & Ohio Railroad. Please enjoy the video from the adventure! 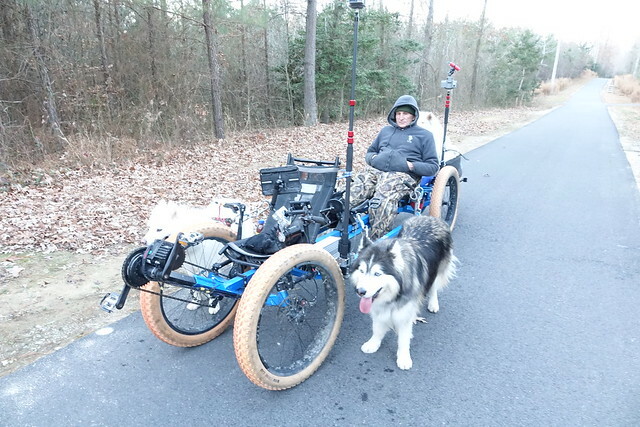 On December 26, 2017 the WooFDriver took to the 52 mile long Virginia Capital Trail with his WooFPAK. The trail passes through Sherwood Forest and the Sherwood Forest Plantation where President John Tyler lived in the mid-1800s. To this day the Tyler family still owns the plantation but the grounds are open to the public. This is not the only Presidential residence close to the trail, there is also the ancestral home of U.S. Presidents William Henry Harrison and Benjamin Harrison. 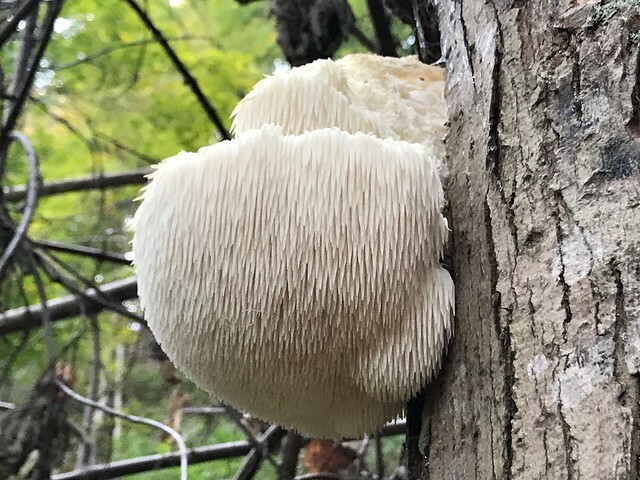 Lion’s Mane Mushroom – photographed on a WooFDriver Tour MUSHing Run near Harpers Ferry on the C&O Canal Towpath October 13, 2017. It is also called Monkey Head, Bearded Tooth, Bearded Hedgehod, Satyr’s Beard, Bearded Tooth and Pom Pom Mushroom. This mushroom that can be found throughout North America, Europe and Asia is edible and has medicinal purposes. Enjoy the photos of the Lion’s Mane Mushrooms that WooFDriver captured! October 2, 2017 the WooFDriver was out on an adventure with the WooFPAK when he came across what appears to be Artist’s Fungus Mushrooms. 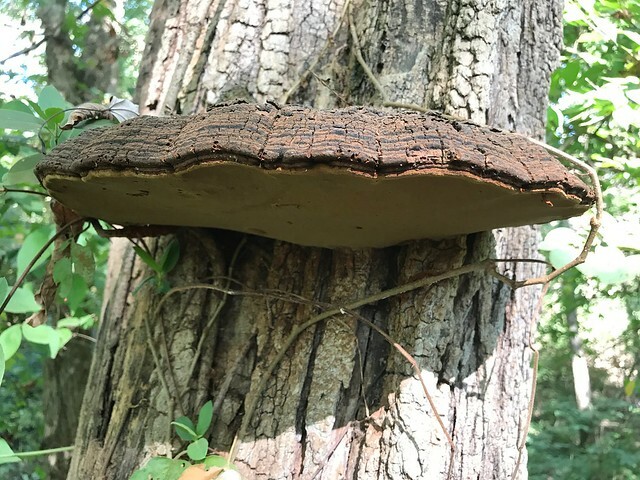 This mushroom can be found across the United States. They grow on the base of trees or on logs. The name comes from its ability to hold images, people make, on the porous underside surface. Enjoy the photo album of this mushroom! 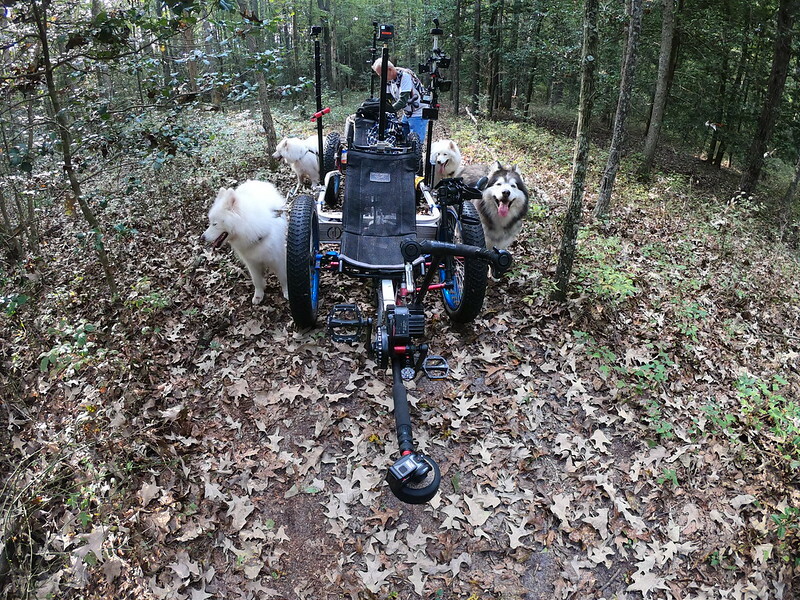 On November 2, 2016 the WooFDriver took the WooFPAK to the Eagleton Mine Trail in Pennsylvania for a Furwheeling mushing adventure. The trail is 20 miles of dirt that follows portions of the old Eagleton Railroad bed. It is named after the mining town of Eagleton that was here from 1845 to 1870. Enjoy the video footage from the adventure! On February 23, 2017 the WooFDriver and his crew headed out to the Delaware and Raritan Trail for a Furwheeling adventure! The trail located in New Jersey is 69.5 miles long of crushed stone gravel that follows the route of the canal’s towpath. As you travel the towpath you will find remnants of the canal built in the 1830s. This trail is part of the East Coast Greenway trail network, that will run from Maine to Florida when complete. Please enjoy the video footage from the adventure!